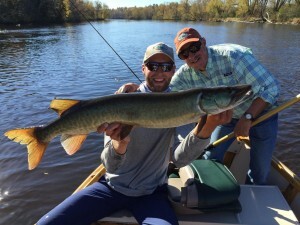 The Hayward Fly Fishing Company specializes in guided fly fishing float trips for musky, northern pike and smallmouth bass on the scenic rivers of Northern Wisconsin. Fly fish for muskies and bass from the comfort of a McKenzie-style drift boat as you enjoy the scenic beauty of the Namekagon, Flambeau and Chippewa Rivers in Northwest Wisconsin. Enjoy some of the best warm water fly fishing anywhere as we pursue smallmouth bass, musky, and pike using fly rods. The Hayward, Wisconsin Area of Northwest Wisconsin offers a truly unique fly fishing experience and offers a diversity of fishing opportunities. As a popular vacation destination in the Northwoods of Wisconsin, Hayward, WI offers comfortable lodging, dining, and shopping options and year round outdoor recreation. The scenic Northern Wisconsin rivers that we fly fish on for muskies, pike and bass include the Chippewa River, the Flambeau River and the Namekagon River. Many miles of these rivers are totally undeveloped and offer the opportunity for peaceful, wild experiences while we pursue muskies, pike and bass on the fly in one of our comfortable drift boats! The season begins in early May (except for musky, which begins the last Saturday of May) and runs through November. Changing weather conditions and water levels through the season can make for challenging opportunities. Are You Ready to Go Fishin’? 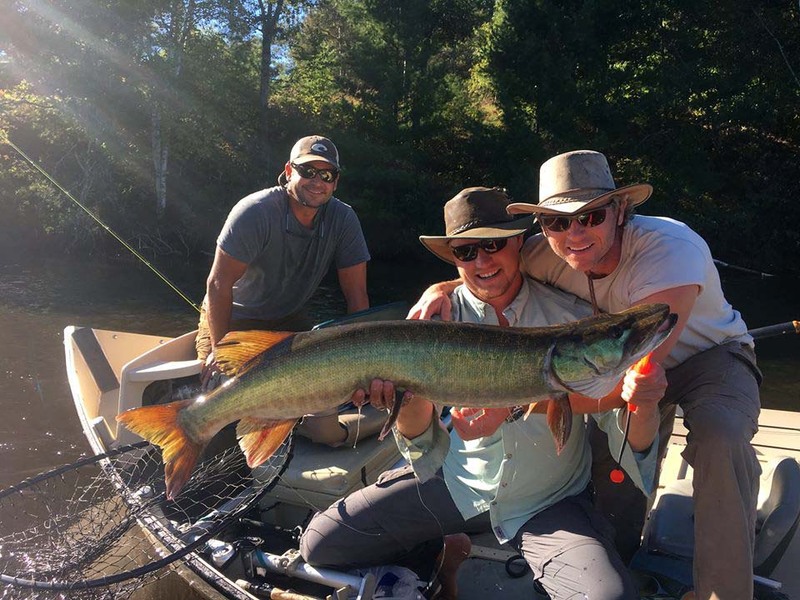 We provide all the fly fishing equipment, flies, lunches, beverages and snacks (please let us know in advance of any dietary restrictions), so all you really need to bring is a valid Wisconsin fishing license, hat, sunglasses, camera, appropriate clothing and a good attitude. We use top-of-the-line fly fishing equipment from Sage, St. Croix & Winston on our guide trips. Of course, if you have your own equipment and wish to use it, bring it along. Count on at least an 8 hour fishing day. 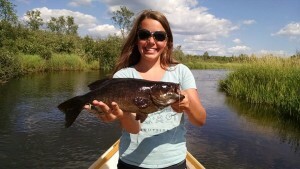 Cost: $450.00 for one or two anglers (gratuity not included). 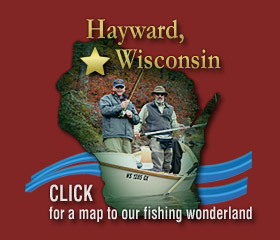 Please note: Hayward Fly Fishing Company does NOT sell Wisconsin fishing licenses. There are several stores in Hayward, WI that sell fishing licenses or licenses may be purchased online through the Wisconsin DNR. 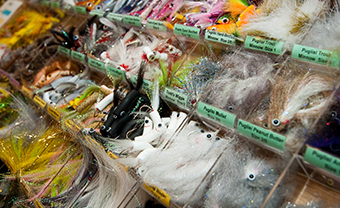 Please purchase your fishing license before you arrive at the shop to help save time. Thank you. Always a fun time fishing with Stu! Whether it’s a slow day or the fish are jumping in the boat, it’s always an amazing learning experience with beautiful scenery throughout the entire float.